If your school uses the Windows environment your computer probably has two versions of Internet Explorer to browse the Internet, a 32-bit and a 64 bit. Some sites you visit work better on 32-bit, the older version, and some work better on the newer 64 bit. Some will only work on one or the other. I have discovered that SharePoint versioning only works on the 32-bit version, not on 64-bit. Another thing to be aware of is if you update Java (for Infinite Campus for instance) or Flash (for Prezi for instance) only the browser you updated has the latest version. If you want Flash or Java on the 32-bit and 64-bit, you need to update both. By the way, both versions share one Favorites List so when you add a Favorite it will appear in both versions. 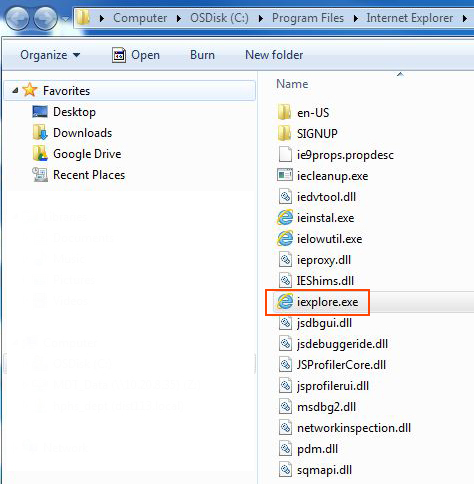 To keep track of which version of Internet Explorer I am opening I have placed a shortcut to both versions on my desktop and I changed the names of the shortcuts so that I know which one I am opening and which one I am installing updates on. 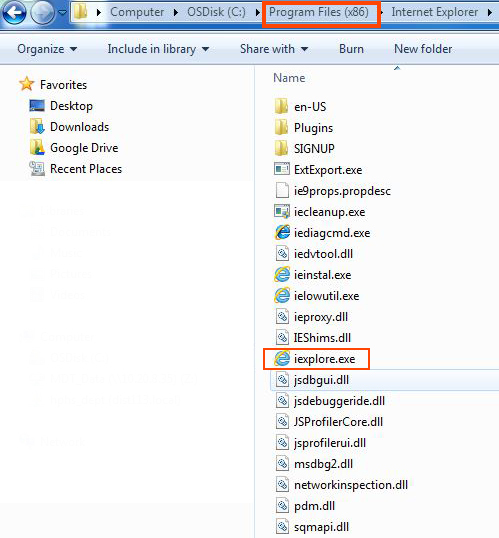 Both files have the exact same name (iexplore.exe) and you can find them in Program Files folder. The (x86) is the 32 bit version, and the 64 bit version is not marked. See the two files below. 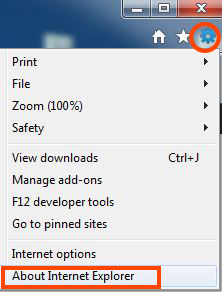 To find out which version of Internet Explorer you have open click the gear icon in the upper right of your browser and then choose About Internet Explorer from the options. 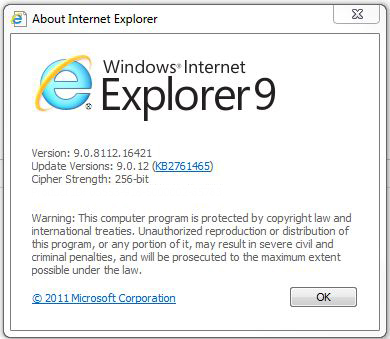 When you choose About Internet Explorer a window opens and the 64-bit is clearly indicated while the 32-bit is not. See the two photos below. I hope this post has helped you if you have been confused regarding 32-bit and 64-bit IE browsers in the school environment. This entry was posted in SharePoint, Web 2.0 and tagged Internet Explorer, Java, SharePoint. Bookmark the permalink.